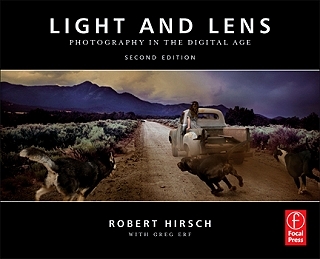 Light & Lens: Photography in the Digital Age is a groundbreaking introductory book that clearly and concisely provides the instruction and building blocks necessary to create thought-provoking digitally based photographs. It is an adventurous idea book that features numerous classroom-tested assignments and exercises from leading photographic educators to encourage you to critically explore and make images from the photographers' eye, an aesthetic point of view. Acquire a basic foundation for digital photography. Light and Lens covers the fundamental concepts of image-making; how to use today's digital technology to create compelling images; and how to output and preserve images in the digital world. Explore the history, theory and methods of digital image-making. Light and Lens translates the enduring aesthetics of art photography into the digital realm. You'll view, capture and think about images from a new perspective. Increase your ability to analyze, discuss and write about your own work and the images of others. Learn with exercises and assignments by leading digital educators. Innovative techniques will train your eye to make the strongest visual statement. Solve visual problems and overcome image challenges. Whether you use a digital SLR or a point-and-shoot camera, you'll get new strategies to master composition, design and light. View the full range of the digital terrain with stunning images and commentary by over 190 international artists.